Select an option below to see step-by-step directions and to compare ticket prices and travel times in Rome2rio's travel planner. 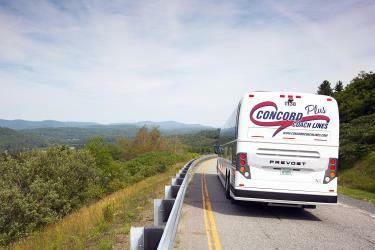 What is the cheapest way to get from Concord to St Johnsbury? The cheapest way to get from Concord to St Johnsbury is to drive which costs $10 - $15 and takes 1h 47m. What is the fastest way to get from Concord to St Johnsbury? The quickest way to get from Concord to St Johnsbury is to drive which costs $10 - $15 and takes 1h 47m. How far is it from Concord to St Johnsbury? The distance between Concord and St Johnsbury is 88 miles. The road distance is 105.3 miles. How do I travel from Concord to St Johnsbury without a car? 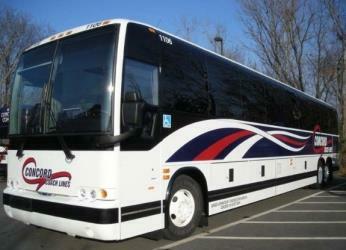 The best way to get from Concord to St Johnsbury without a car is to bus which takes 2h 17m and costs $75 - $100. How long does it take to get from Concord to St Johnsbury? 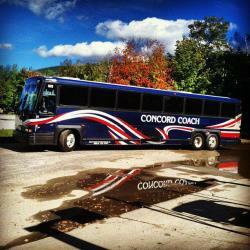 It takes approximately 2h 17m to get from Concord to St Johnsbury, including transfers. Can I drive from Concord to St Johnsbury? Yes, the driving distance between Concord to St Johnsbury is 105 miles. It takes approximately 1h 47m to drive from Concord to St Johnsbury. Where can I stay near St Johnsbury? There are 12+ hotels available in St Johnsbury. Prices start at $100 USD per night. 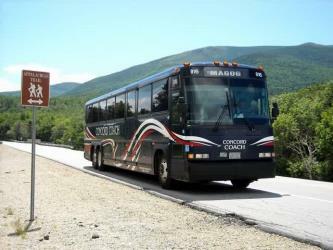 What companies run services between Concord, NH, USA and St Johnsbury, VT, USA? 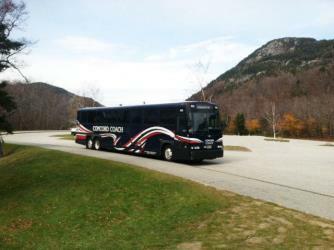 Concord Coach Lines operates a bus from Concord to St Johnsbury twice daily. Tickets cost $21 - $28 and the journey takes 1h 55m. Rome2rio's Travel Guide series provide vital information for the global traveller. Filled with useful and timely travel information, the guides answer all the hard questions - such as 'How do I buy a ticket? ', 'Should I book online before I travel? ', 'How much should I expect to pay? ', 'Do the trains and buses have Wifi?' - to help you get the most out of your next trip. Travelling to the US: What do I need to know? Rome2rio’s travel guides to the US tell you the best ways to explore the country, from Amtrak to Greyhound to the New York Subway. Discover how to get to attractions and hotels near St Johnsbury. The St. Johnsbury Athenaeum, in St. Johnsbury, Vermont, is a combined library and art gallery. The building in which it is housed is architecturally and historically significant because of its construction. The Athenaeum is also noted for the American landscape paintings and books in its collection and its having been funded by Horace Fairbanks, manufacturer of the world's first platform scale. The art collection contains a number of Hudson River School paintings. This building retains a strong, Victorian (French Second Empire) flavor of the 19th century. The Fairbanks Museum and Planetarium is a combination museum and planetarium located in St. Johnsbury, Vermont. It was founded in 1891, by Franklin Fairbanks. The museum and its building are on the U.S. National Register of Historic Places. Dog Mountain is a unique farm in St. Johnsbury, Vermont with 150 acres of scenic trails, trout ponds, dog sculptures, an art gallery and the popular Dog Chapel. It was run by Vermont artists Stephen Huneck and Gwen Huneck until their deaths. Gwen's brother, Jonathan Ide of Fitchburg, Wisconsin, is directing the business. The St. Johnsbury Historic District encompasses much of the historic civic and commercial center of St. Johnsbury, Vermont. Representing a significant expansion of the Railroad Street Historic District and the St. Johnsbury Main Street Historic District, it captures the historical tension and competition between Main Street and Railroad Street for primacy as the town's most important civic and commercial areas. The district was listed on the National Register of Historic Places in 1980. 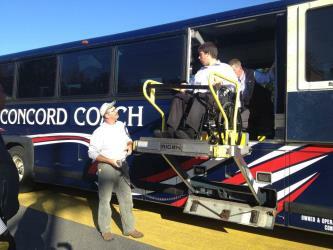 Rome2rio makes travelling from Concord to St Johnsbury easy. Rome2rio is a door-to-door travel information and booking engine, helping you get to and from any location in the world. 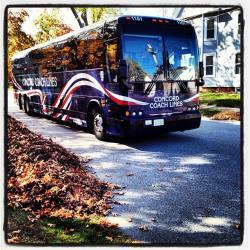 Find all the transport options for your trip from Concord to St Johnsbury right here. Rome2rio displays up to date schedules, route maps, journey times and estimated fares from relevant transport operators, ensuring you can make an informed decision about which option will suit you best. Rome2rio also offers online bookings for selected operators, making reservations easy and straightforward.